Whether it’s buying, selling, or refinancing, DocuSign helps you centralize all of your real estate documents, and get electronic signatures to complete agreements faster. DocuSign allows you to work the way you want—on the go or from the office—using online tools that simplify transactions from end-to-end. DocuSign works with more of the applications, services, and devices brokers, agents, and clients already use. DocuSign is the reliable and trusted electronic signature service that enables agents and brokers to be in control of their data. 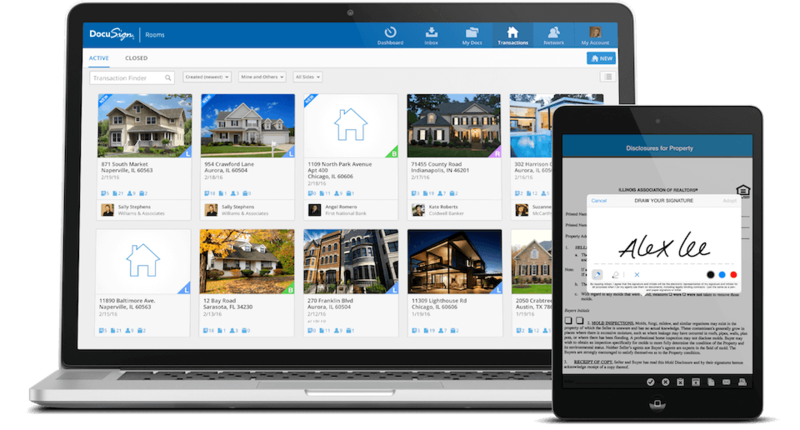 Every year, more than 2.5 million real estate transactions are closed using DocuSign. The average agent closes 11 deals per year. The majority of DocuSign real estate users close at least 25 deals per year.